My Commodore 1541 floppy drive; It would NOT calibrate! I set a perfect speed. I set stepper head stop with feeler guage. I TOTALLY disassembled, cleaned and lubed all mechanicals. I tried and tried to set stepper motor alignment. This remained some matter of dark sorcery to me. I tried this with three different available software apps for ALPS 1541 alignment. I aint got the TIME for this stuff! Drive shown has original case and circuit board, retaining my mods…and newly refurbed unit’s drive mechanicals. 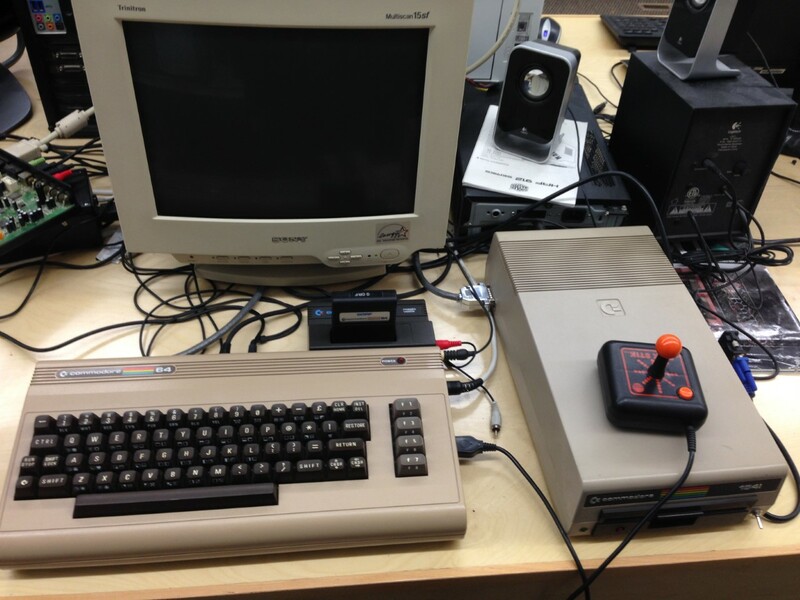 Together – they made a perfect Commodore 1541 ALPS floppy dive. If there’s some nutcase out there that would love this thing more than I have – they are welcome to make me a reasonable offer and take it all. (please).